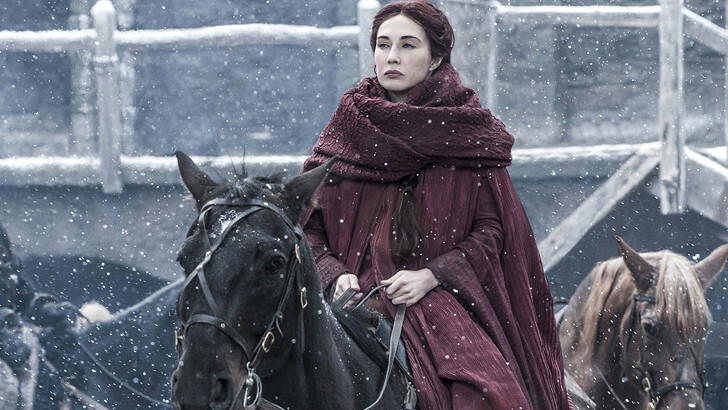 The priestess of the god R'hllor and close advisor of King Stannis Baratheon in the Game of Thrones, Carice has outstandingly portrayed the role of mysterious Melisandre for which she has gained huge critical acclaimation. Van Houten, who is of Dutch and English descent can also speak German and French fluently. Her talents in speaking four different languages has helped her a lot in portraying different characters in different movies. "I have seen Hollywood, and although I have nothing against it, it's not my kind of life. My agent is shocked that I want to stay in Europe. "If Hollywood offers me a great part, of course I'll take it, but I just don't want to live there". Well, it's quite obvious for all of us to assume that the two best friends, Halina and Carice, are lesbians as the two used to share kissing scenes and other revealing photoshoot every now and then. These two even published a personal style book named Antiglamour which caused a great stir that they might be lesbians but later on it was confirmed to be false rumors. Carice is a versatile actress as she has recorded a pop album called, See You in the ice, which has become quite a hit.